You should consider decompression traction treatment. It’s affordable and you should try this before surgery. Whether you have herniated discs, degenerative disc, facet syndrome, or other problems, Decompression Stabilization therapy is proven effective method of treatment and you should try this before you have surgery. 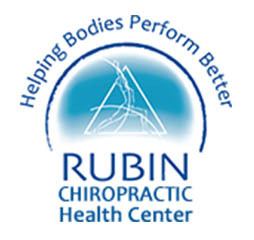 The Rubin Health Center in St petersburg has the latest equipment for treating your spine with the Decompression Traction System. Your disc are responsible for most lumbar, leg pain, and neck pain and arm pain syndromes. Compression of your disc makes these problems worse, because your disc don’t receive fresh blood and oxygen; they need diffusion which is created by the motion and Decompression to restore nutrients and speed the healing process. The temporary reduction in intradiscal pressure will result in a speeding up of the effect of the healing process from increased contact with the blood supply in your spine as well pain relief created neurologically by stretching soft tissue, which makes Decompression Traction Therapy a valuable addition to passive pain. Loss of muscle control in effected areas and abnormal posture and alterations in spinal curves are the usually the underlying source of most compression to your spine and degeneration of your disc, however Decompression Traction Therapy can enhance the healing process and offer you a quick, effective and amazing pain relief where many other treatments have failed. Decompression usually offers patients a quick response and pain relief within six sessions. Full relief when effective can be attained in 8-12 sessions. After 4-6 sessions most patients will notice enough relief to allow active rehab to begin again, during which Decompression may continue depending on the methods chosen for 4-6 further sessions before discontinuing treatments. Spinal Decompression Therapy is a safe non-surgical and comfortable therapy for the relief of back and neck pain. Your disc material has usually protruded or herniated outside of the disc and can be pulled back within the disc by the vacuum created within the disc by stimulating growth of blood supply that stimulates a healing response, resulting in pain reduction and proper healing at the injured site. Spinal Decompression Traction Therapy is designed to take the load off of the spinal disc, including herniated, protruding or bulging discs, spinal stenosis, sciatica or (pinched nerves). Spinal Decompression Traction Therapy is not recommended for pregnant women, or patients with severe osteoporosis or severe nerve damage. We evaluate every patient on an individual basis. Decompression Traction Therapy and spinal stabilization exercises usually last an hour and is usually performed 3-5 times a week. 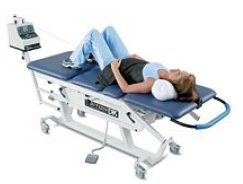 Spinal Decompression Traction Therapy can you after a failed spinal surgery and is usually effective with patients who have not been left with an unstable spine after surgery. We will give you a free exam to see if you can be helped. Call The Rubin Health Center in St petersburg at at (727) 822-1555 to set up an appointment to see if Decompression Traction Therapy will work for you.